Applications for admission into our Class of 2019 will open in September, 2018. Space is limited, with several lodging-included slots available on a first-come, first-served basis. Alternative lodging may be found at nearby extended stay rentals. To receive more detailed information, please contact us at pureyogainstitute@gmail.com to begin your journey! When: May 28, 2019 (Tue) through July 27, 2019 (Sat). Tuition: $7000. No lodging or meals. Applications accepted through March 1, 2019. Once your completed application is received, you will be notified within 45-days if you are accepted into the program. Anatomy & Physiology modules through the first 8 weeks of training, side-by-side with concepts emphasized in the posture series. This provides for maximum retention. Sampling of various styles of yoga and heated Pilates and advanced movement modalities to provide context and better understanding of Original Hot Yoga. Pregnancy yoga, intermediate and advanced sequences, and yoga asana championships. 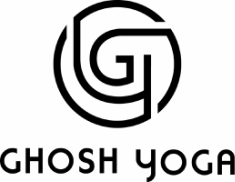 Yoga Therapy content from the Ghosh Yoga College of Physical Education in Calcutta, India. Yoga Philosophy and History of Yoga and Medicine presented by Scott Lamps and Ida Jo Pajunen, founders of GhoshYoga.org. Scientific Research from PURE Action, Inc. (www.PureAction.org), with numerous studies of Original Hot Yoga.